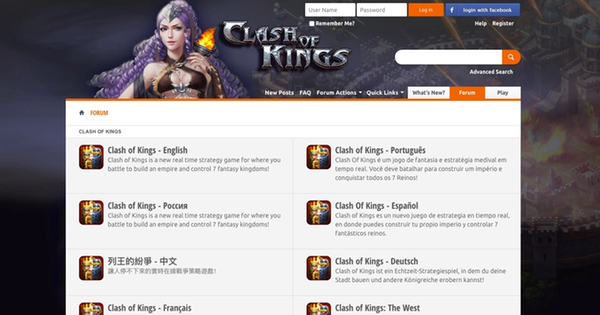 Clash of Kings is a free-to-play RTS multiplayer war game, released on iOS and Android in late 2014. The game has over 50,000,000 installs and stands as the 11th top grossing iOS app. However, it also has a lot of powerful veteran players. If you are new, and are struggling to grow your kingdom, here are 5 tips to help you. The most important objective when beginning your kingdom is to not commit all your resources to one building. Early in your kingdom’s development it is better to upgrade your military, hospitals and farms first. This is because they will make you better prepared for conflict with other players and it will act as a strong foundation for your future growth. Furthermore, from the start of your game, keep your resource items and rewards. If your army is later destroyed, you will need these resources to recover your forces or upgrade your castle. Always make sure you have a mixture of infantry, cavalry and range units. Like a real army, your ranged units need to be protected by a front line of units. Swordsmen are used to soak up the damage and are key to the success of your higher damage output units. Also, for newcomers it is very important to make your army safe against higher level players – they can attack you when you are asleep. To combat this, sending your army to farm a castle or explore a ruin 8-12 hours away can keep your units in transit and safe from an attack. In Clash of Kings if you are not paying extortionate amounts of money to remain competitive, farming will be key to your success. A farm is a small castle whose key purpose is to gather resources. This involves setting up multiple accounts that should specialise in gathering different resources. This involves tailoring your Lord’s experience points on each account towards particular resourses and creating the supporting equipment. Farming other lower level players is also important and it is worth scouting potential locations since they could be another player’s farm account, which could be hiding powerful units. Joining a strong alliance will be key to your long-term success in Clash of Kings. They can protect you against looting and sieges, which will give you the freedom to grow and develop. Furthermore, the rallying mechanic allows you to attack a castle with your allies. Synchronising an attack with other players will result in you killing more of the enemy units and gathering more resources. However, do not forget that to be part of established alliances, regular contributions to rallies will be expected – nobody likes a freeloader. Target alliances whose members you are close to and who speak the same language so you can build a strong relationship. Clash of Kings is a complex game. Visiting online forums, reading guides, following Youtubers or even asking other players will be the key to establishing the long-term success of your kingdom. There are numerous strategies that are situational and subject to change, so there is always something new to learn. Moreover, regularly logging into your account and taking advantage of inactive players will give you a competitive edge. The cliché, “you get out what you put in”, definitely holds truth in Clash of Kings. I hope these tips put you in good stead for what will be a long and challenging conquest in Clash of Kings. Good luck! You can download Clash of Kings on Android and iOS now.